The Round Rock ISD Transfinder application allows parents to view route information, pick-up time, and drop-off time for their students. This information is updated throughout the year, so parents are encouraged to regularly check their student’s route information during the start of school and if their child does not ride the bus for an extended period of time. 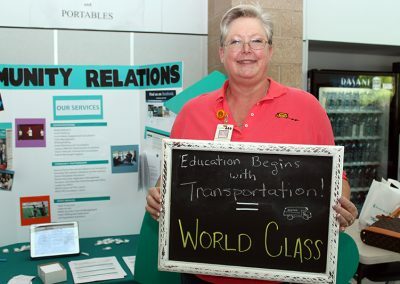 The Round Rock ISD Transportation Department has developed a Frequently Asked Question section of its web site for parents to utilize. Please visit that page by clicking below. 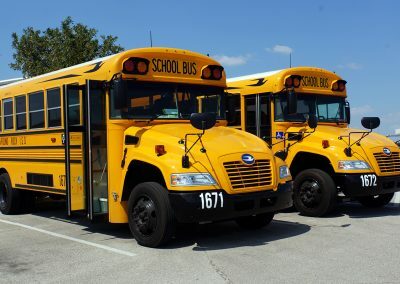 Transportation services are provided to students who live two or more miles from their campus, according to school board policy. The Transfinder online application will also not work for students entering pre-K, students attending a school outside of their zoned area for special programs, or some special education students who require special travel arrangements. Parents of those students should contact their child’s campus for route information. If you need assistance, please contact Round Rock ISD Transportation by calling (512) 428-2450. 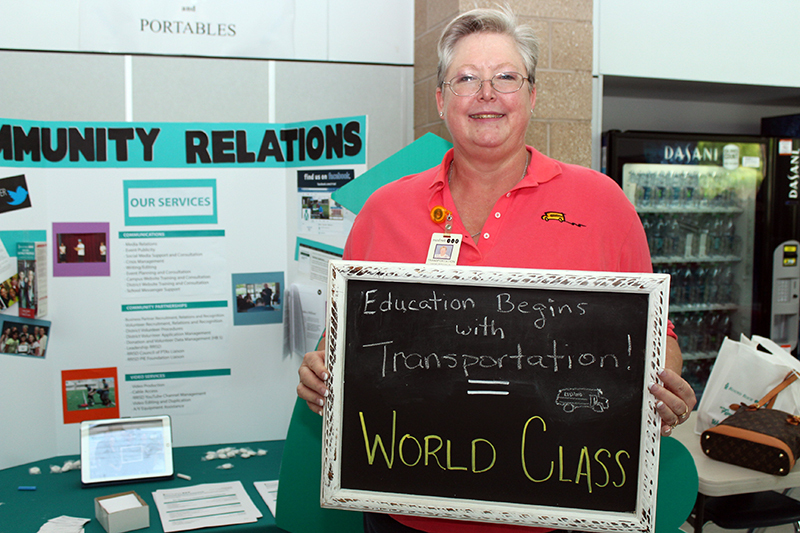 Transportation services are provided to students who live outside the NET Zone. * A net zone is the area less than two miles from their campus, per school board policy. *Net Zone = Not Eligible for Transportation. This means that there will be no bus service provided due to the proximity of your home to the school. 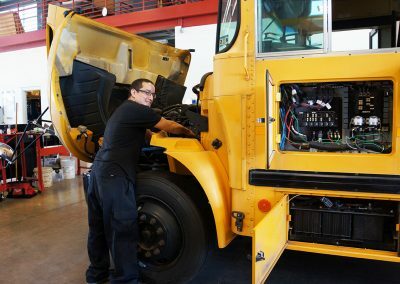 Inclement weather, traffic and mechanic issues can cause buses to be delayed. Transportation can send a text message straight to your mobile phone if your child’s school bus is delayed either to or from school. Parents and students who would like to receive late bus texts can “opt-in” to the notification system by texting “YES” to short code 67587. You should receive an opt-in confirmation message from the service. You can also opt out of these messages at any time by simply replying to one of our messages with “Stop.” Opting out of late bus text notifications will also discontinue text notifications for inclement weather or any other emergency communications. Bus information text notifications are sent to cell phones. To update cell phone number(s) call or email your campus Registrar. It may take 24 hours for the updated number to be active after being changed or added to the district’s system. The district is not responsible for carrier charges. Dispatchers are instructed to prioritize safety issues. Therefore the District cannot guarantee the reliability of a text notification. If you have opt-in to text message notifications and are experiencing a service issue, let us know how we can help by completing this Late Bus Text Service Assistance online form. That was the opt-in invitation message sent by SchoolMessenger if it was from 67587 and it said: <> text messages. Reply Y for approximately 3 msgs/month. Txt HELP 4info. Msg&data rates may apply. See schoolmessenger.com/tm To continue receiving informational text messages from the school district reply with “YES.” If you don’t reply, you will not receive any future texts from SchoolMessenger. Opt-out Response: You’re unsubscribed from SchoolMessenger. No more messages will be sent. Reply Y to resubscribe or Help for help. Msg & data rates may apply schoolmessenger.com/tm Help or Unknown Keyword Response: Reply Y to subscribe for approximately 3 msgs/mo.Text STOP to quit. For more information reply HELP. Elementary students may be required to walk up to 1/4 of a mile to a bus stop. Secondary students may be required to walk up to 1/2 of a mile. Bus routes are designed limit student ride time to no more than 45 minutes one-way if at all possible, however, most students ride under 30 minutes one-way. The above design criteria is for regular students only. Students in special programs are subject to different design criteria. Contact the Transportation Department for additional information. Transportation is available for children who live two miles or more from their assigned school. The distance a student lives from their assigned school is determined by measuring from the curb at the front of the school to the curb in front of their home using the closest paved street. 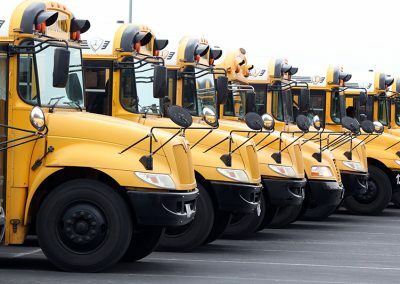 Students residing within two miles of their assigned school may have transportation available if their neighborhood qualifies as hazardous under the district’s hazardous transportation rating system. 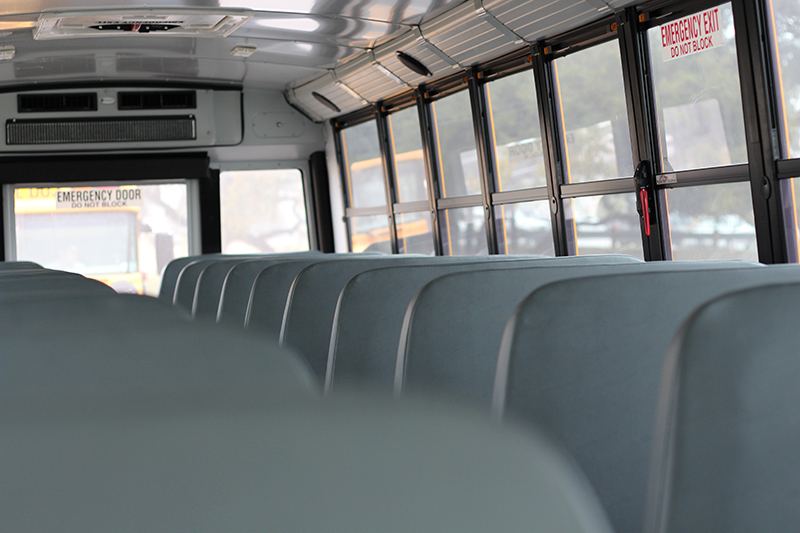 Some students who attend more than one school to participate in vocational programs or classes not offered at their school are transported between schools during school hours. Special education students are eligible for transportation if need is established through the Admission, Review, and Dismissal process. Regular transportation attempts to arrive at every bus stop on time. Due to the variances between individual clocks, students are asked to arrive at the bus stop 5 minutes prior to the scheduled arrival time. Buses will load students and depart the stop. Regular buses do not wait for late students under most circumstances. Special needs transportation follows much the same criteria but will wait up to 3 minutes at the stop for the student to load. All buses will wait 7 minutes at the school in the afternoon for students to board. Students are expected to proceed immediately to the buses. 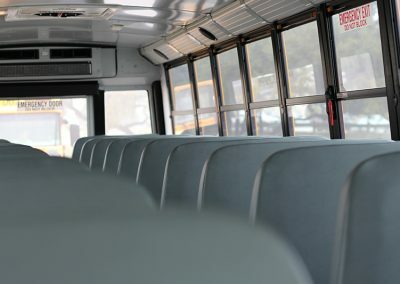 Bus drivers are instructed not to stop or open the door for late students due to safety concerns having students too close to moving bus wheels. 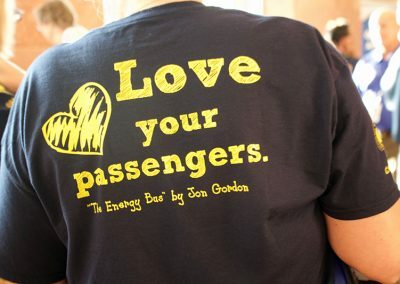 Regular transportation is scheduled to provide service to student riders. Bus stops that do not have riders for 3 days may be suspended temporarily for lack of ridership to conserve district resources. Infrequent riders should contact the Transportation Department stating their wish to ride when service is needed if their bus stop has historically low ridership to verify stop time and location. School buses are rated by manufacturers to have capacities based on three riders per seat. 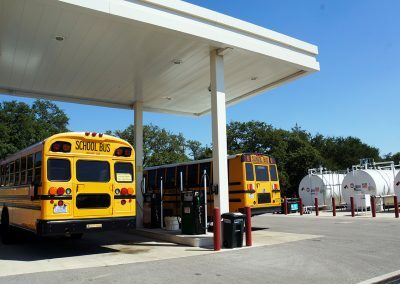 Round Rock ISD has adopted maximum ridership per bus at 3 riders per seat at elementary levels, 2 1/2 riders per seat at middle school levels, and 2 1/4 riders per seat at high school levels. Student safety is the primary concern of the Transportation Department. Statistics show that the most dangerous time for students is before and/or after they are on the bus. 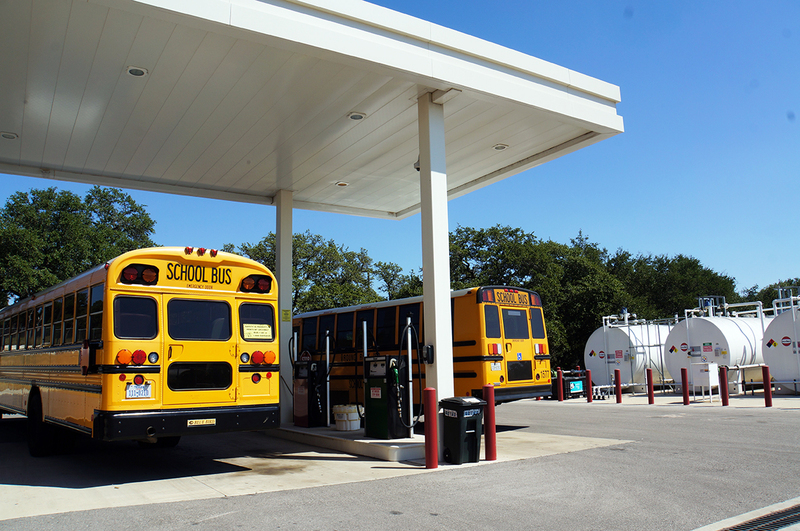 The Transportation Department considers the environment and age of the students when placing bus stops. We attempt to place every bus stop at a location with reasonable safety assurances for students. Parents must assume the responsibility for their students traveling back and forth from home to the stop. The most dangerous time for a student riding the school bus is the loading and unloading process. It is critical that students are visible to the driver and out of the bus danger zones when the bus is in motion. This rule applies to loading and unloading both in the neighborhoods and at schools. If students are crossing the street, they should move immediately out of the danger zone and proceed at least 15 feet in front of the bus before crossing the street. We are pleased to provide quality educational services for your children. Our mission in Special Needs Transportation is to ensure your child arrives at school and returns home safely with care and thought given to his/her individual needs. Our success is a result of our commitment, skill, knowledge, understanding, and ability to communicate. All drivers and assistants participate in frequent in-service training to expand and improve their driving skills and upgrade their knowledge of helping children with special needs. Establish times and location for your child’s pick-up and drop-off. Having your child ready to board the bus within three (3) minutes of scheduled time each morning. Calling 512-428-2450 (eastside) or 512-428-2480 (westside) and making an appointment to speak with the driver rather than delay them in route to transport other students. 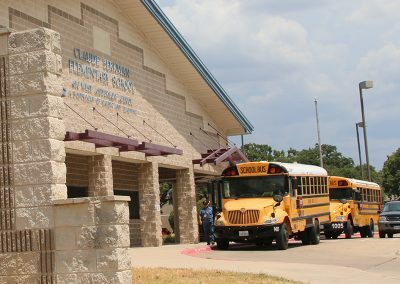 Notifying the Transportation Office (512-428-2450 or 512-428-2480) as early as possible when your child will not be attending school. An answering machine is provided so that you may leave messages after hours if necessary. Failure to ride 3 consecutive days will result in termination of service until the parent/guardian calls the Transportation Office and reinstates the service. Sharing information with the driver and/or assistant regarding changes in schedule, medical status or major personal disruptions that would seriously affect your child’s behavior. Being open to information form the driver or assistant regarding their observations and concerns. Making sure your child goes to the restroom before boarding the bus. Remembering that students in wheelchairs must have properly operating lock brakes, foot rests, arm rests, and a safety belt. *In order for the Grandparent or Childcare Facility to qualify as an approved stop, it must be within the attendance area of the Student’s Home Campus &/or the Campus of attendance. To find out in what attendance zone a stop is located, you can enter the address into the School and Bus Route Locator and you will get a list of which campus boundaries encompass that address. When a new student is added to or dropped from a driver’s list, the time of pick-up and drop-off changes for all students. Parents need information as quickly as possible to adjust to changing pick-up and drop-off times. The driver also needs information about their children before transporting them. The three day lead between notice and start of transport allows for necessary information processing. Door-to-door service requires the drivers to go to multiple locations (as many as 10 – 15) spread out over a large geographic area, and transport students to locations that are often far away from the child’s home attendance school. 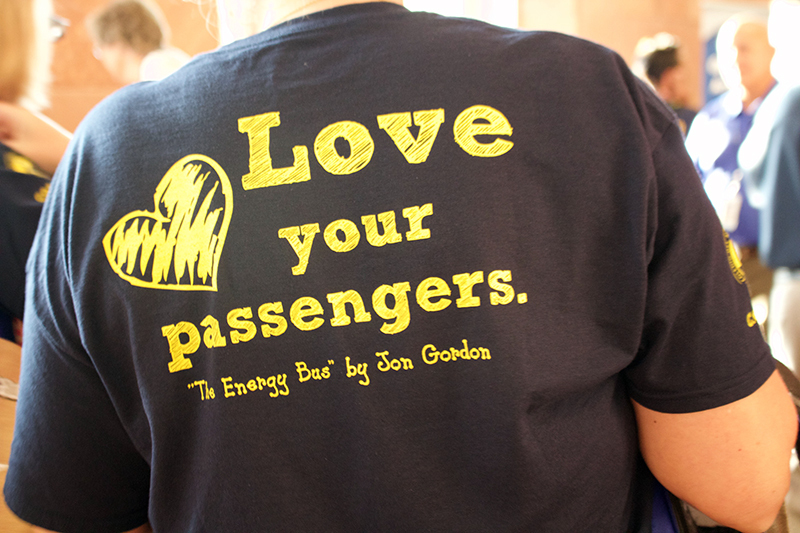 Our goal is for no student to be on the bus for more than one hour each way. 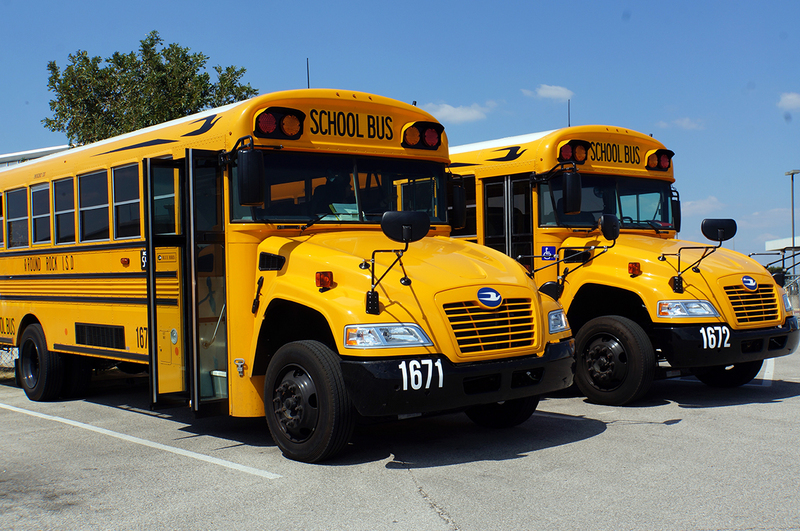 If you have questions or concerns about transportation services for your child, please call the Transportation Department at 512-428-2450 (eastside) or 512-428-2480 (westside).